'Start with user needs' is the first of our design principles and it's the first thing we ask teams to demonstrate to meet the Digital by Default Service Assessment. Even Members of Parliament (video) talk about user needs these days. This is all good. You need to go to the source - to the user, and discover (not just validate) the user needs. 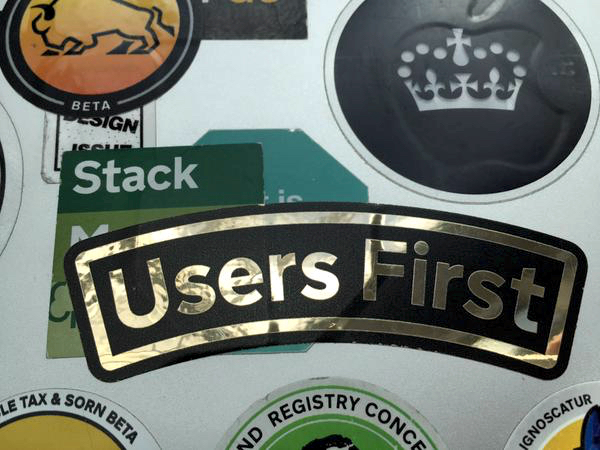 You may get some user needs from stakeholders, but you won't get them all. You can’t even guarantee to get the most important user needs from stakeholders. You are not your user and you cannot think like a user unless you're meeting users regularly. In the discovery phase of your project, your team should be out in the field doing user research. You should be discovering what your end users are doing when they encounter your service. This let’s you make sure that your service is a verb - a thing that supports a task that people are trying to do, not a noun - the thing you’ve always called the form before.